Listen to Tim Staley: The Most Honest Syllable Is Shhh! 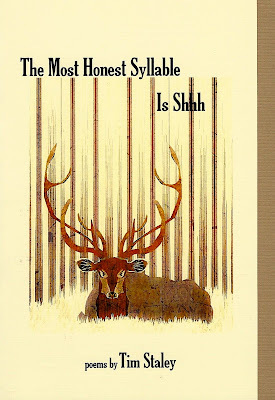 The Most Honest Syllable Is Shhh by Tim Staley! I see a woman playing tennis. a million laughing, easy returns. and the sky glows with it. The sky is bursting with rainlight. It sweeps the court of people. hang it up for the night. hanging from memories like hooks. Tim Staley was born in Montgomery, Alabama, in 1975. His debut poetry collection, Lost on My Own Street, was released by Pski's Porch Publishing in 2016. His work has appeared in various journals, including Anti-Heroin Chic, Chiron Review, San Pedro River Review, and Sin Fronteras. His awards include the 2004 Peter Harris-Kunz Endowed Award in Poetry, the 2012 Luminaire Award for Best in Poetry, and the 2016 Dona Ana Arts Council's Arts in Education Award. In 1992, Staley founded Grandma Moses Press, where he continues to serve as editor. He lives with his wife and daughter in Las Cruces, New Mexico. For tour dates and more, visit www.poetstaley.com. Find him on Facebook and on YouTube! 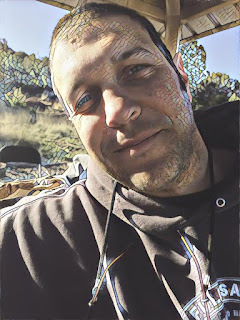 NightBallet Press was first contacted by New Mexico poet Tim Staley in September, 2015. He sent a marvelous manuscript we couldn't resist...and then followed that up by a) teaching one of this editor's poems in his classroom ("Incontinence"), and by b) coming to Cleveland to do a reading with me (at Mac's Backs). Although his book is eight months overdue to be published (due to some unavoidable personal issues), he has been nothing but polite and patient, and we here at the press are very grateful. So, listen up: we highly recommend you get a copy of The Most Honest Syllable Is Shhh...when you read it, you'll find yourself shouting for joy! 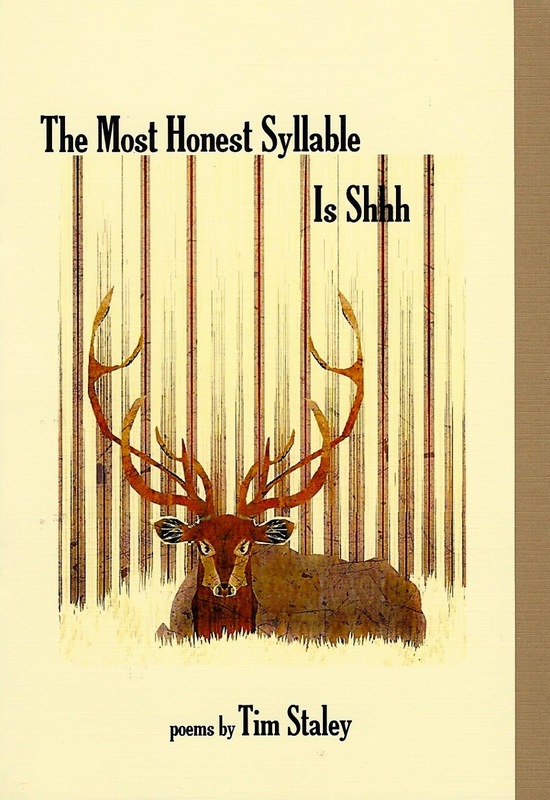 The Most Honest Syllable Is Shhh is only $5 plus $4 shipping, and is available beginning today. You can order right here through PayPal, with a credit or debit card of your choice. (U.S. customers, only; non U.S. customers, please contact the editor at nightballetpress@gmail.com for information on postage costs) Don't miss out on this exciting colletion...order today! Andy Roberts Says "You Know the Type"! You Know the Type by Andy Roberts! This collection contains 26 poems on 36 pages. In his poems, Roberts says "you know the type...the shoegazers, the moonbeamers"; his poems reflect on lucky byways in life, and offer stirring recollections of an earlier time, memories shared in time by common experience. in the World Book Encyclopedia. I would learn tricyclics, MAO Inhibitors, encehalopathy. But things weren't all bad. The Jets beat The Colts in Super Bowl 3. I lost the key to memory a long time ago. Drowned anything close to an answer. "His poetry filled with unswerving wisdom and humor, Roberts has succeeded in convincing us that life does not have to be orderly to be lived well." 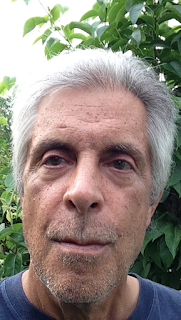 Andy Roberts, a Columbus, OH, poet, has three previous books from NightBallet Press: Yeasayer, Pencil Pusher, and The Green World, and we are honored and pleased by his trust in our press. Roberts has seen his work appear in a wide array of literary journals and small press publications for over thirty years, including Atlanta Review, Chiron Review, Meridian Anthology of Contemporary Poetry, Mudfish, Pudding Magazine, and Slipstream. His work has been nominated for the Pushcart Prize several times. Roberts handles finances for disabled veterans, a sometimes frustrating, and often rewarding, occupation. You can order You Know the Type for only $5 plus $4 shipping through PayPal, with the credit or debit card of your choosing. (U.S. customers only; non U.S. customers may contact the editor at nightballetpress@gmail.com to discuss shipping charges.) Find us on Amazon!